Which of these coffees tastes better? 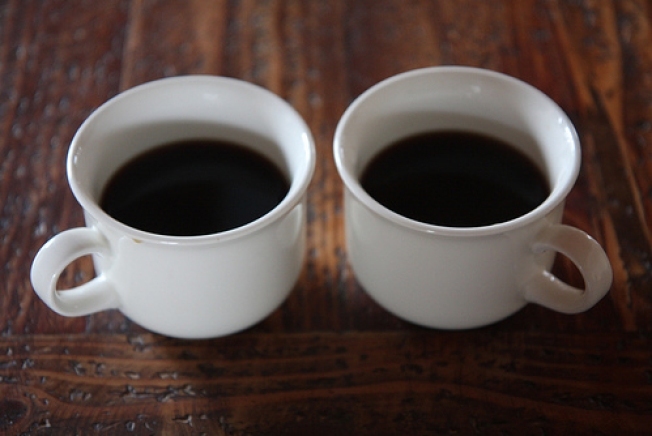 A recent study suggests that the best coffee isn't always the one that costs more. Coffee elitists will argue that if you want great flavor, then you have to pay more for it. A recent Consumer Reports study though seems to suggest otherwise. Out of 19 ground coffees, Eight O'Clock Coffee 100% Columbian ranked the best combination of taste and price. The coffee cost less than half the price of other "premium" brands and was deemed to have a "complex blend of earthy and fruity, with a bright, pleasing sourness." The privately-owned Eight O'Clock ($6.28 per pound) beat out Caribou CoffeeColombia Timana ($11.76/lb) and Kickapoo Coffee Organic Colombia ($14.33/lb). Starbucks Coffee Colombia Medium ($11.53/lb) placed fourth. "You don't have to spend a lot to get a great cup of coffee, despite what some coffee snobs may tell you," said Bob Markovich, home and yard editor at Consumer Reports. Consumer Reports also tested six decaffeinated coffees. Dunkin' Donuts Dunkin' Decaf, Millstone Decaf 100% Columbian Medium Roast, and Folgers Gourmet Selections Lively Columbian Decaf Medium Roast were all among the best, but they weren't as good as the regular brews. The testers focused on 100% Columbian for regular coffees and examined aroma, fruitiness, flavor, body, and bitterness. Full results of the coffee ratings will be available in the March issue of Consumer Reports and online (www.ConsumerReports.org) today. Starbucks is looking to rebound from dismal sales in the U.S. as more consumers cut back on spending in the deepening recession. In its fiscal first quarter report last week, same-store sales — a key indicator of a retailer's performance — dropped 10 percent. That's worse than the 8 percent decline in the fiscal fourth quarter. The allure of the value meal has long seduced penny-pinchers craving a cheeseburger. Now, as the dismal economy slurps up profits, Starbucks Corp. is hoping to find some sales salvation in its own value meal variety. But analysts wonder if the plan will be enough to keep value-seeking customers from abandoning the mermaid for the clown. Matt Bartosik, former blogger of The Chicago Traveler and editor of Off the Rocks' next issue, is unable to function without two morning cups of coffee.